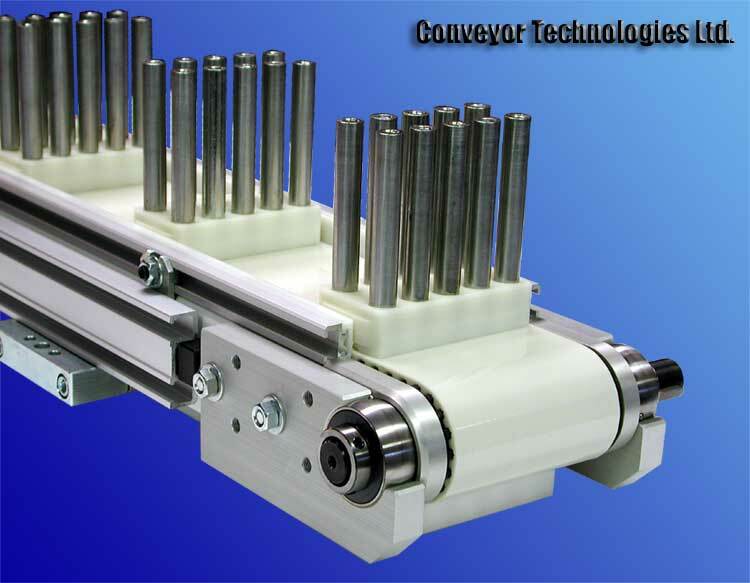 Indexing conveyor features integral part holders. System provides a rigid preload of the holder against the belt, permitting greater accuracy and durability than welded profiles. Holders are easily disengaged from the belt. Optional sub-plates allow customers to mount their holders and adjust for improved accuracy. 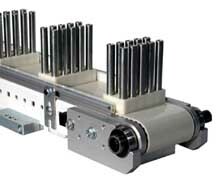 Ideal for Assembly and Vision Inspection Applications. Various factors can effect (4) axes part positioning accuracy. 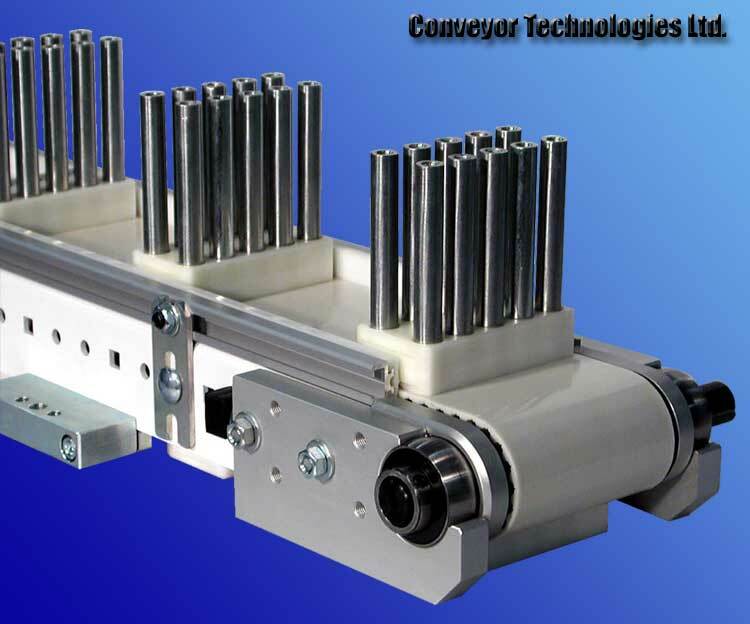 provide a typical part positioning accuracy of ±.01". Utilizes standard belting which retains full load rating. Sub-Plate permits attachment of user supplied Part Holders. FlexLoc™ reduces joint stress, and permits low inertia pulleys. 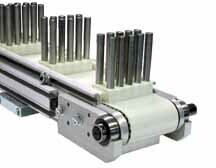 Part Holders feature a preloaded mounting with a Guided Travel.